Additional Modules can be added to the Enterprise, Professional and Lite packages to customize your Patriot system to meet your station requirements. Internet Client Access allows Users 24/7 access and edit their site and user details. Bureaus can create Site Reports, view activation history & update response lists and Techs can turn test mode on/off while working on site. 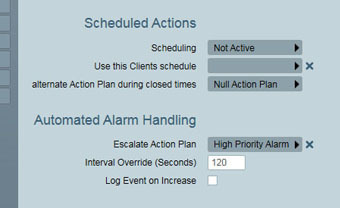 Automate incident notifications for Events such as Late to Close, system alarms, Ac Fails or any other event. Operators can send manual text messages to Users as part of an activation procedures. Operators can send manual text messages to Users firectly from a Users or Sites details. Messages held by service provider until delivered and Patriot receives the acknowledgement. Users can be automatically sent a Text Messages if their store is Late to Close, there is a AC Fail or for any other event in Patriot. You can also Text Message guards on high priority alarms or technicians on system error events. These can be defined at a Global, Dealer or Client level making response customizable to your station requirements. Requires a GSM Modem and active local SIM CARD. We recommend the Sierra GL8200. Uses the Internet - No GSM Modem required. Can send large amounts of Text Messages much faster than a GSM Modem. Users can be automatically sent a Text Messages if their store is Late to Close, there is a AC Fail or for any other event in Patriot. You can also Text Message guards on high priority alarms or technicians on system error events. These can be defined at a Global, Dealer or Client level making response uniquely customizable and powerful. Automated notifications can instantly be sent to Users email account and viewed on email enabled mobile phones or other devices. Send automatic or manual work orders or servicing requirements of clients to technical support teams. Email reports to Users or Bureaus in PDF, Word or Excel format. Automated reports can be emailed to individuals or groups of recipients. 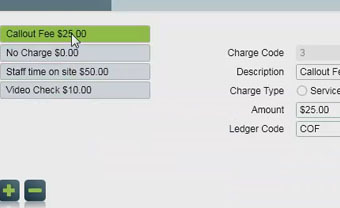 Send Billing breakdown reports to Bureaus or Site Managers that use Single Line Billing. Users can be automatically emailed if their store is Late to Close, there is a AC Fail or for any other event in Patriot. You can also email guards on high priority alarms or technicians on system error events. Send Log Reports to Users, Online / Offline reports to Bureaus and email work orders to Technicians. Send notifications to Plink App Users and allow them to Acknowledge and cancel the alarm or fall the event back to the operator at the Station. Users can send notes back tot he station operator regarding the alarm event notifciation. Users can extend Late to close alarms through the Plink Smart Phone app. 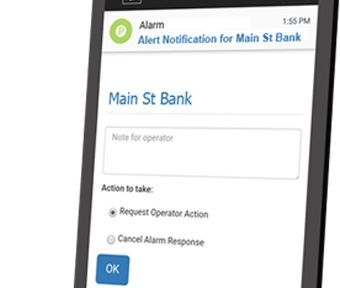 Allow User/s to Be First Response and acknowledge or Fallback the Alarm via Email, Text Message or Plink smart Phone APP. Users can view and edit their details and site details on their phone web browser, Plink app or any web capable device. 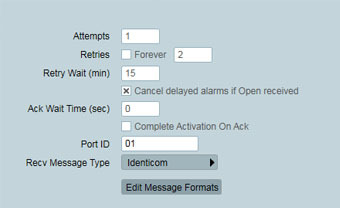 Allow users can extend Late to close alarms by sending a reply text message or email in correct format to a Late to Close message notification. Text Messages and emails will, if not in a Patriot recognized format, appear as notifications to operators with the full message. Dispatch Jobs to your Guard Patrols through the Patriot Response Screen and allow the Guards to accept or fallback the job, provide an ETA, On site and Left Site Status updates & notes. All details are transferred between the operator and the Guard Patrol instantly through the Plink App. Information is transferred correctly, no misunderstandings and no miscommunicated information. Site Patrol Checks: Patriot logs each Door and Site QR or NFC tag scanned for auditing, reports and for site managers. Welfare Checks keep Patrols and static Guards safe with regular prompts to confirm they are okay during their scheduled shifts. The Welfare checks can also be used for Lone Worker Welfare Checks Only Users with the free Plink App. Dispatch can be configured at the client level or by the city. Clients can have preferred guards and guards can be ranked in order of preference by city and client as well. A standard UI and set of controls makes utilizing camera systems easy for operators. Client privacy is protected by optionally restricting camera access to activation situations only. Cameras Linked to Zones allow you to customize which cameras are relevant for which zones and areas of the site. Link multiple cameras to one area and have one camera linked to multiple zones. Receive live feed through RTSP & ONVIF compatible cameras. Receive alarm events from compatible camera systems. The Patriot CatchIT system allows you to ignore motion detection and camera events that are likely false alarms but will show all relevant camera events to an operator on a qualified alarm from a camera system or traditional alarm panel. 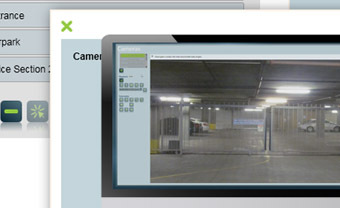 Utilize site camera systems to send Motion Detection alarm to your CMS or ARC station. 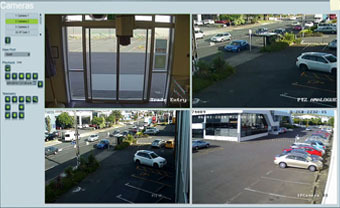 When a camera alarm or standard panel alarm event is received a video event can be viewed by an Operator as well as live camera feeds. Operators can use compatible camera controls to move the camera, communicate with the site using two way audio and control DVR outputs. 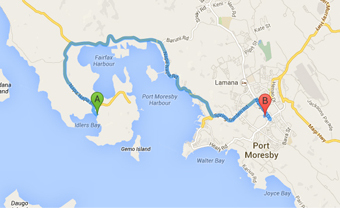 Maps are accessed with one mouse click from the Patriot alarm response window. GPS Tracking monitoring of Lone Workers, Guard Positions and high risk personnel. Maps are interactive and can be moved around by the operator and Satalite and Street View can be used to improve response time. Activation Mapping will show mutiple activation and guard locations displayed onto one map. 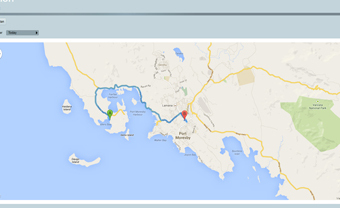 Interactive maps can help operators direct dispatch and patrols to sites quickly and effectively. 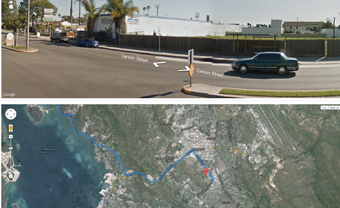 Lone Workers and Mobile users can be tracked and GPs locations updated to pinpoint their locations. Allow Clients, Bureaus and Technicians to access and update their site/s details from their mobile phone or any internet capable device. Real-time 24/7 customer & Bureau access to alarm monitoring information. Uses a standard web browser such as Chrome or Firefox. Clients can access their site details, logs (history), activation reports, user list, activation response plans, zone listing, open/close schedules and track and document after hours entries and departures. Use Security Groups for complete control over what each User or Bureau may access. ICA traffic is encrypted ensuring data security. Technicians can put Sites, Areas or zones on test mode and take them off from their mobile phone, no need to ring an operator. Users, Bureaus and Technicains can view site details, logs (history), activation reports, user lists, response plans, zone information and open/close schedules from any web capable device. Compatible with CSV accounting packages such as MYOB and Xero. As well as monthly charges for different lines (services) a site can be charged callout fees based on alarm types or manually added by an operator. Work completed can be charged through work order billing and accounting reports can be produced with billing details passed to any CSV compatible accounting software. With a Patriot IP Receiver module no receiver is required. IP signals from Panels and devices can be sent via over the internet and GPRS directly to the Patriot Server. Notification on panel communication / polling failure. View status of all panels at any time. Reduce costs including eliminating panel call costs. Multipath IP, Emizon, SIA DC09, Arrowhead, ICT, CSV, Webwayone + more modules available. Combines the flexibility of Patriot monitoring software with the features of the Telephony, SMS Messaging and Mapping modules for Lone Workers. As well as logging the calls, Patriot can be configured to record them and to associate them with events in the signal logs. Messages can be quickly accessed and replayed at any time. Operators require only minimum training to enable them to quickly and efficiently respond to lone worker emergencies. 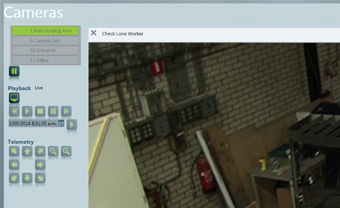 Patriot Lone Worker software helps ensure your employees health and safety. A Lone Worker working remotely can press an alert button which will send an alarm and GPS coordinates to the CMS / ARC and be displayed within an interactive map for an operator to respond to. Integrated autodial allows operators to save time and ensure accurate calls and logging. Integration for Asterisk based VoIP PBX. This module allows your operators to auto-dial customers and users directly from Patriot. A simple click of phone numbers from within Patriot alarm activations and response plans will autodial clients, response teams and users. Digital PBX uses can have all the advantages of the Patriot autodial function. Available for TAPI compliant digital and VoIP PBXs, the TAPI Dialler enables your operators to make calls with one mouse click. This reduces potential operator error and improves response times. The Email Receiver Module allows Patriot to receive email messages and to utilize them to acknowledge alarms or generate alarms. Patriot will monitor a standard POP3 email address. 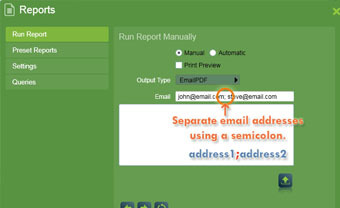 Utilize devices that can send customized emails. Compatible with certain Navman devices. The module is compatible with most paging systems whether in-house or via telecommunications providers & supports the PET Protocol. 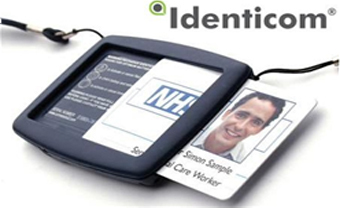 Notifications can be sent to any number of recipients and are usually received on standard pocket pagers. A User can be paged. The Internet Dealer Access Module allows Dealers log into Patriot and update their clients, add clients and change response settings. The station may customize each individual logins access settings. 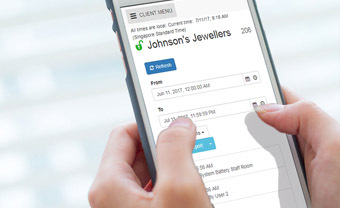 Dealers / Bureaus can view and maintain customer details remotely without having to involve your busy operators. Make the maintenance process more efficient for the Dealer / Bureau and the station. Reduce operational costs for the monitoring station. ARC or CMS management always retain full control over the dealer / bureau access and security rights. 24/7 Real-time access for Dealers / Bureaus, Engineers and Installers. All data stored in a central location - no duplication. 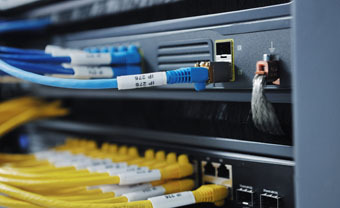 Industry standard connections for reliability and security. A Dealer / Bureau can log into the Dealer Access and setup a new client and their schedule, users etc without involving an operator. Stations can individually customize what each Dealer / Bureau can see or edit. Patriot can be configured to record the contents of the camera monitor window each time an operator responds to a camera enabled activation. After the activation is completed, the video recording can be reviewed from the client activation history tab or the completed activations maintenance menu item. Saves operator camera action recordings to .avi video (H.264 codec) files. 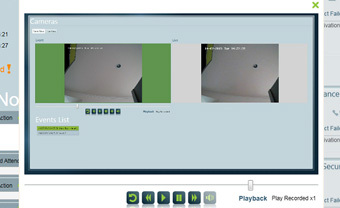 Recordings show exactly what an operator saw in the camera viewport(s) during the course of an activation response, and what camera actions were taken. Configure the quality of the recordings, the duration the files are kept in the main recording file and when they are moved into the archive. Virtual Guard Tours are a value added service that you can offer your clients to conduct remote tours of sites utilizing the sites camera system. Virtual Guard Tours are a value added service you can offer and sell to your end clients. Use Guard Tour Reminders to set up Virtual Guard Tours that will generate activations for Operators to pick up. Select which cameras are viewed in the tour, the duration for each camera and notes on what needs to be viewed or recorded. Operators are locked into viewing the Virtual Guard Tour but can pause and resume the Tour if a high priority alarm is received. This module allows clients who aren't actively monitored to be stored in the Patriot database, but not to use up a full monitored client in the license. The number of monitored and non-monitored clients is calculated separately, and the totals are displayed in the Help window. Sites that are under renovation and need the monitoring temporaraliy stopped. In the intermin when a residental home is sold and the new owners are moving in and no monitoring contract has been completed. Temporary monitored sites such as holiday homes and mobile sites. Patriot SDK comes in three flavours which can be used in various ways to interact with third party software, devices and hardware. 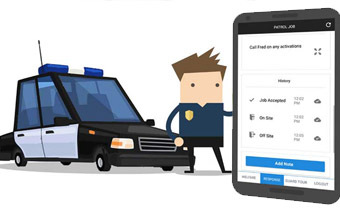 This allows stations to integrate with Lone Worker devices, create phone apps for their clients to view and update details, connect to DVR and camera systems or receive signals direct from alarm panels. The Task SDK will enable third party software developers to integrate their own receivers and other signal receiving devices into Patriot via a task and signals will be logged to the Patriot database. The Patriot Telephony Module automates many of the repetitive and time consuming tasks required of monitoring station operators by allowing customers to interact with Patriot using their phone's keypad. With interactive option menus and pin security this autmoates time consuming Operator tasks and CMS functions such as late to close management, guard health checks and site status queries. They can be fully interactive with option menus, PINs and user responses all being used to provide customer service with minimal operator involvement. The Telephony module is a key component of Patriot's Lone Worker application. Used in conjunction with the Text Messaging module, Telephony provides failsafe incident reporting for lone workers. Both inward and outward telephony tasks can be automated. Locally created audio files intergrate easily so clients encounter familiar accents and language. 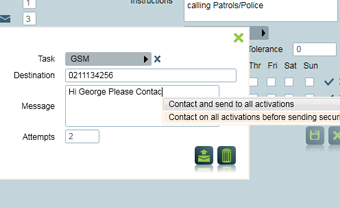 Key component of Patriot's Lone Worker application and can be used in conjunction with the Text Messaging module creating failsafe incident reporting for lone workers. 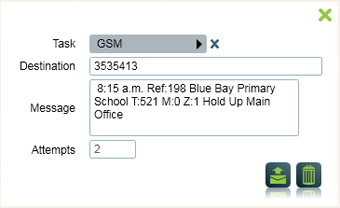 Can be used in conjunction with the Text Messaging Module to provide personnel tracking facilities. Integration with Odoo / OpenERP allows Patriot to accurately relay accounting and sales information between both software packages. From initial sales leads, right through to financial performance, the Patriot ERP system will keep your Security business running smoothly and efficiently. Patriot ERP integrates your Patriot monitoring and accounting systems. Includes CRM, Inventory, Accounts Payable, Invoicing, Accounts Receivable, General Ledger and Financial Statements. Never lose track of jobs or payments with Patriot’s integrated suite of products designed to streamline all of your company’s processes. Using local PSTN calls this module allows receivers to communicate with Patriot via the internet. This allows stations customer base to be extended into other cities and areas - expanding your source of monitoring prospects. No customer alarm panel replacements or upgrades are required. Network integrity constantly monitored with an optional failover PSTN signalling option available. Intelligent communication control is designed to cope with slow or intermittent internet connections. Compatible with most popular PSTN alarm receivers. Patriot Workstations can be deployed off site via WAN, Internet and VPN. Remote workstations use Microsoft Terminal Services and no additional licensing is required. Allows Monitoring Stations with clients in multiple cities where local operators and response are required to be intergrated and when applied with Patriot Enterprise this enables activations to be filtered by location directly to local operators. Enhances the Email, Telephony, GSM tasks. Cancel Sending Activation Message, if an opening signal is received within predefined period (Paging, GSM, CDMA or Email). Individually Acknowledge SMS Text Message (GSM). The module is added to existing Patriot installations quickly and easily by remote license update. No reinstallation or database upgrade is required. A User can be messaged on a Late to Close and if they don't acknowledge the alarm it can be passed to another User or a station Operator. This module automates the control of outputs (relays) which can be wired into a PC output board. Patriot operators can trigger these or automate the triggers from response plans within Patriot.